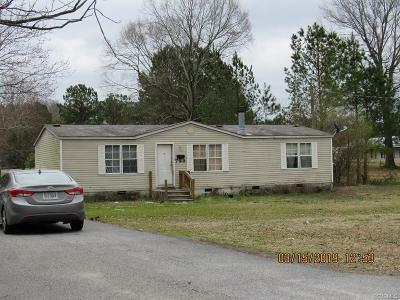 Doublewide in the heart of Blackstone, 3 bedrooms 2 baths, Home is being sold AS-IS, WHERE- IS with no warranties implied. Home needs TLC. Directions: From Downtown Blackstone Take S. Main To Left On East Irvin To Right On Oak St. Look For Sign.